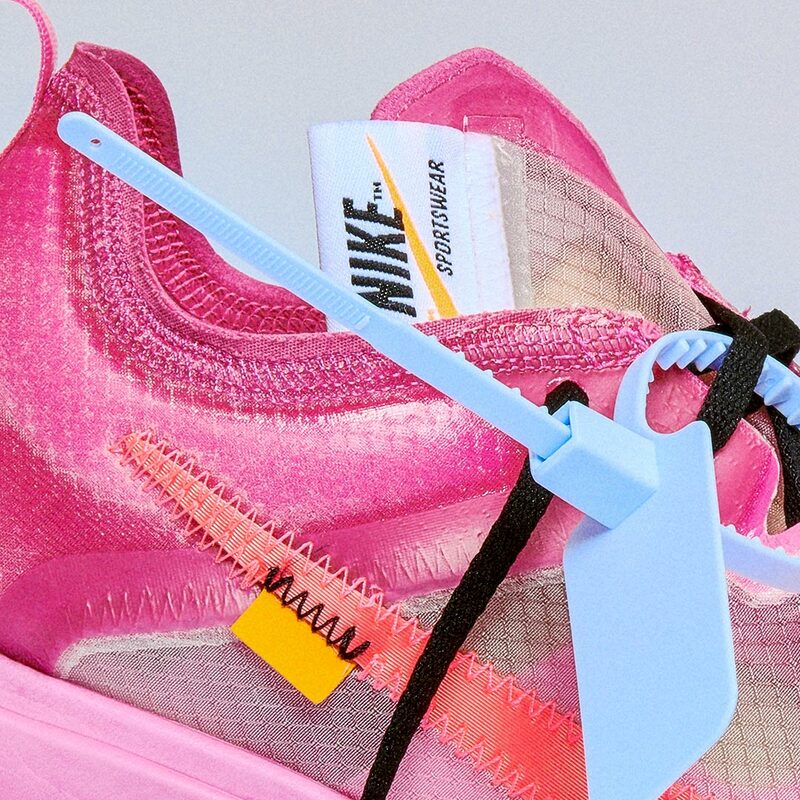 Just over a year after the original release, Virgil Abloh is is set to once again continue his creative partnership with Nike and put his spin on one of the original Ten. 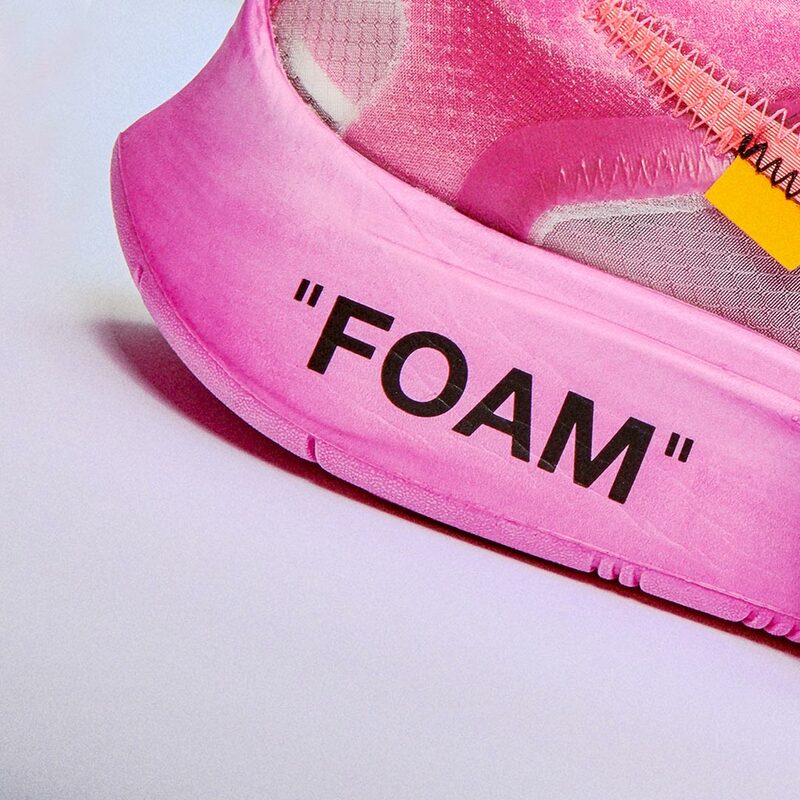 This season OFF WHITE and Nike have partnered up on an Autumnal version of the Nike Blazer and an eye-catching iteration of the Converse Chuck Taylor, however they are looking to follow these up with a more contemporary shoe – the Nike Zoom Fly. 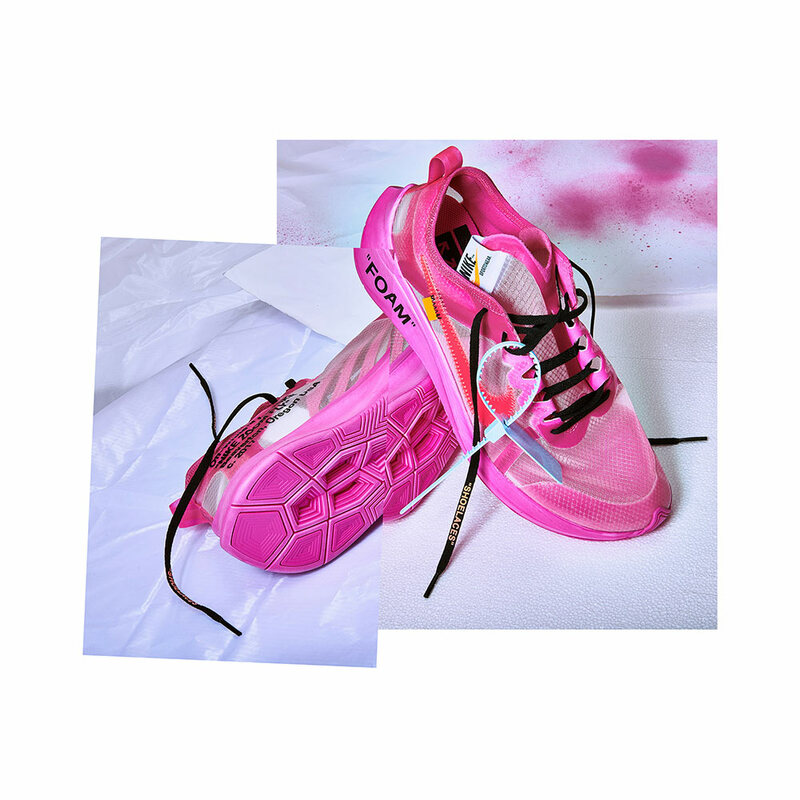 Virgil Abloh chose to include the Nike Zoom Fly SP in his original collection because in his words the shoe broke boundaries, in both performance and design. 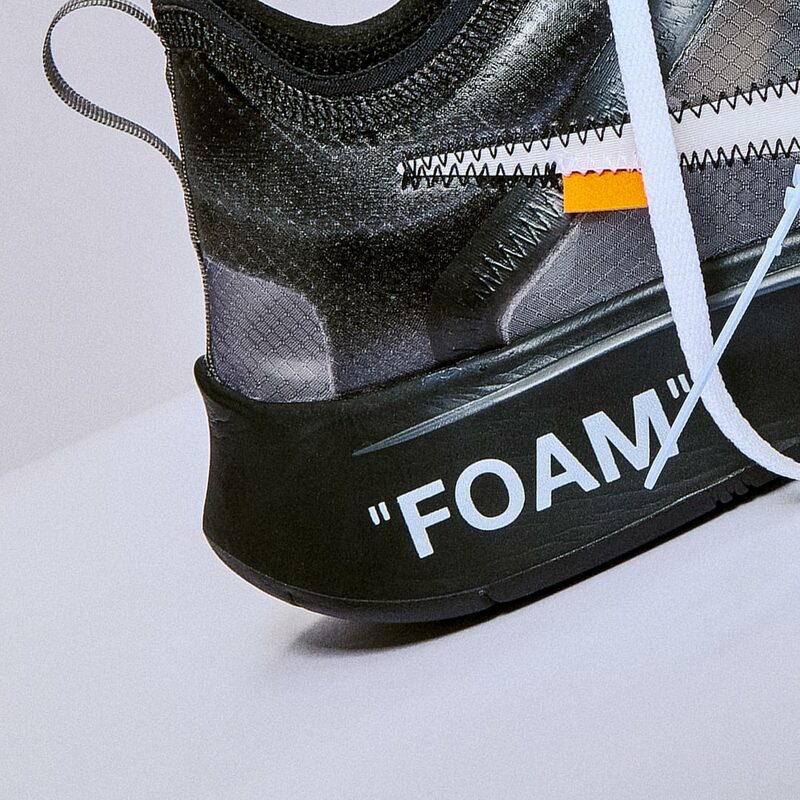 The Zoom Fly SP (and Zoom Fly technology on the whole) have been engineered to push the boundaries of what a running shoe can do, and to give athletes the tools to achieve their best possible performance. This all came to fruition in 2017 when Kenyan long distance runner Eliud Kipchoge ran the fastest marathon in history, establishing Nike’s Zoom Fly technology as the pinnacle of performance gear in the process. 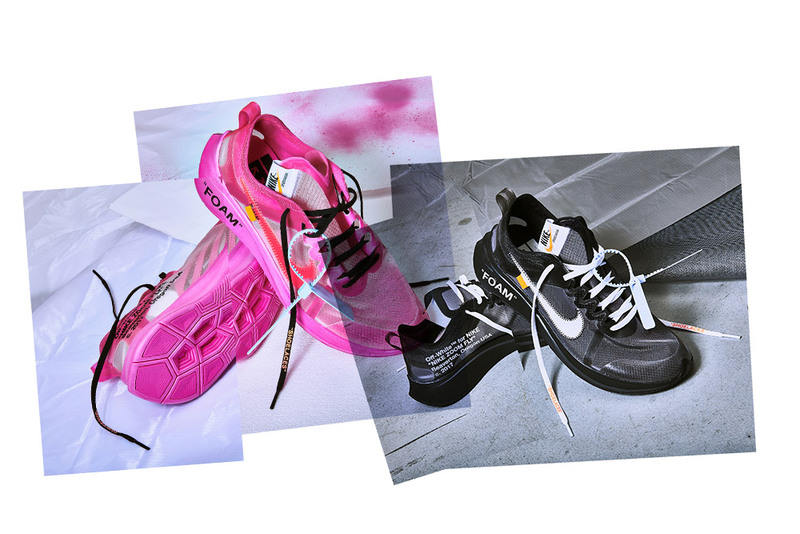 This season Nike and OFF WHITE are returning to the Zoom Fly SP for two contrasting iterations, the first being a low-key all black number and the second being an instantly eye-catching Tulip Pink colour-way. 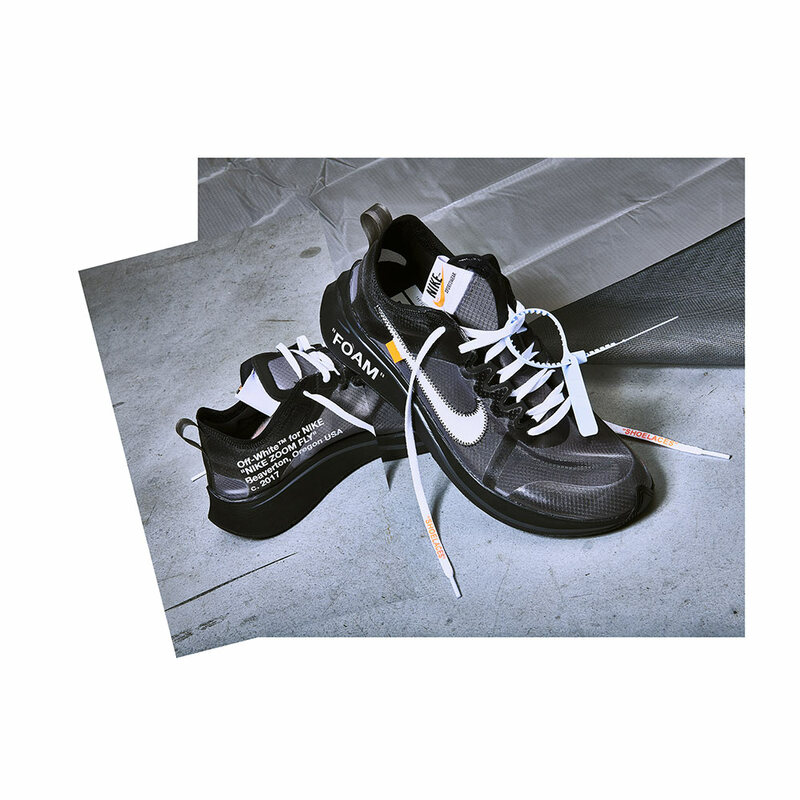 Both the Black and Tulip Zoom Fly SP’s feature the iconic OFF WHITE deconstructed branding, exposed stitching and zip-tie. 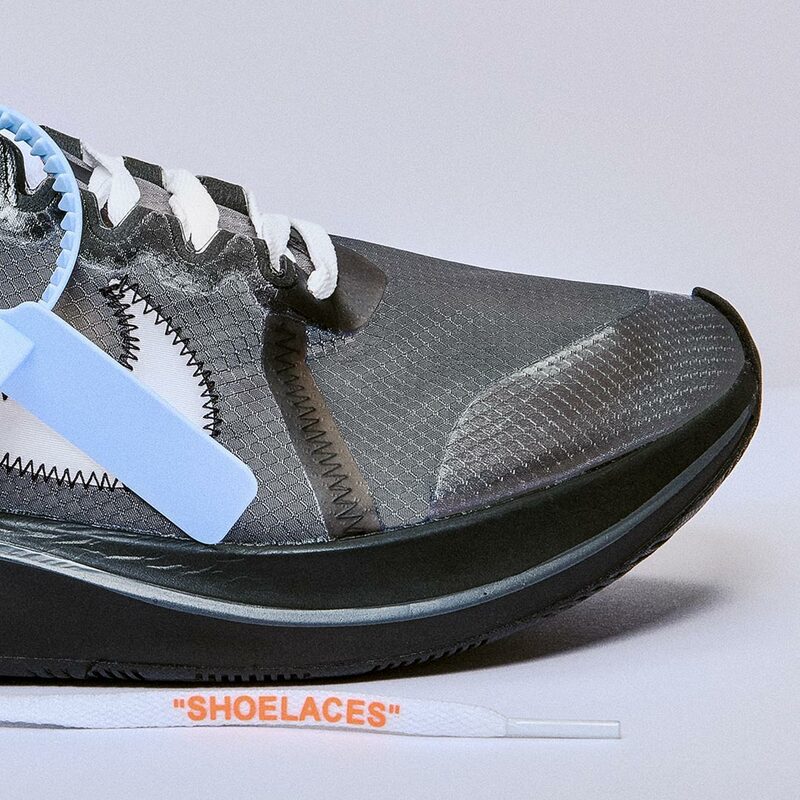 The OFF WHITE x Nike Zoom Fly will be available for an in-store purchase via raffle only. STRICTLY ONE ENTRY PER COLOUR PER PERSON MULTIPLE ENTRIES WILL BE CANCELLED. Raffle entrance closes at 5pm Saturday 24th November. Good luck!